Gen. Vicente Filisola was second in command of the Mexican army in Texas during the Revolution. After the defeat of Gen. José López de Santa Anna by Sam Houston’s Texans at San Jacinto, Filisola became commander-in-chief of the four thousand Mexican soldiers that remained in Texas. The Mexican army eventually retreated to Matamoros, Mexico, and Filisola became the scapegoat for all that went wrong in the campaign in Texas. 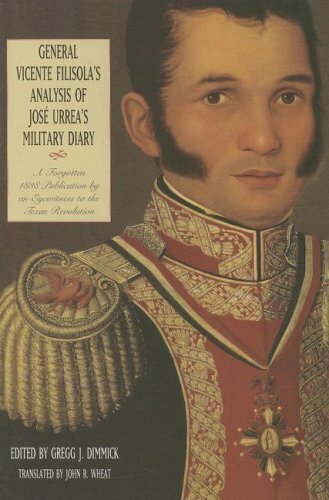 His chief accuser in this disastrous action was Gen. José Cosme Urrea, commander of one of the Mexican divisions in the campaign. 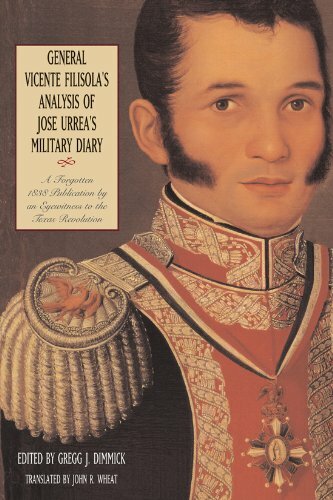 After reading this fascinating account of the Mexican army in Texas, readers may well need to reevaluate their opinions of the Mexican army’s generals. In spite of the fact that the work is obviously biased and at times blatantly unfair,Filisola makes valid points that will make one wonder if Urrea deserves the high respect that has been generally accorded him by Texan scholars. JOHN WHEAT, archives translator at the Dolph Briscoe Center for American History at the University of Texas at Austin, is the translator of numerous historically significant documents of borderlands history including Almonte’s Texas: Juan N. Almonte’s 1834 Inspection, Secret Report, and Role in the 1836 Campaign.